Double glazing units consist of two panes of glass that sandwich a layer of air, creating a barrier that acts as a good insulator. Although double glazed windows should last for around 20 years, they do eventually need replacing. Unfortunately they can get to the state where they need replacing sooner if the instalment was not properly or expertly done. One of the ways to spot that double glazed windows need replacing is when they start to ‘mist up’. Misting up is what happens to double-glazed windows over time, where moisture creeps into the void between the two layers of glass. 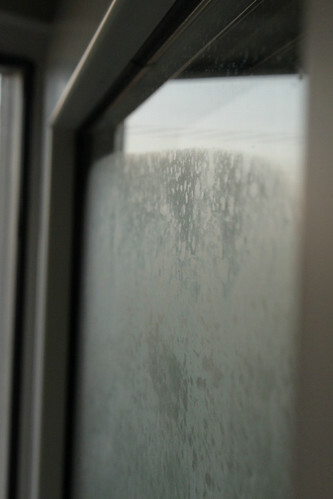 This causes an unsightly layer of condensation to form in your double glazing unit. 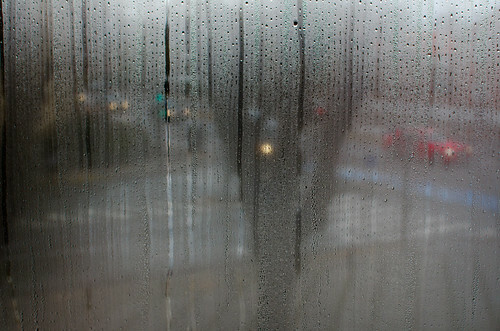 Over time, this layer will only worsen, getting larger and larger until the whole window is obscured by a layer of condensation. The dreaded misting up of a double-glazed window. The reason double-glazed windows mist up (or ‘break-down,’ as it is sometimes referred to in the trade), is due to a premature failure of the perimeter seal. The perimeter edge of the unit loses its integrity and over time, moisture will creep in at a weak point. When the sun shines directly on the window, the moisture will rise and appear as condensation, leaving your windows misted up. Misting up is largely dependent on the initial fitting; how the framework was fitted and the seal inserted affects how susceptible the window is to breaking down at a later point. Another reason for misting up is severe weather conditions; heavy rain and wind can take their toll. Some particularly harsh cleaning products can also contribute to the deterioration of your double-glazing. But eventually, even the best double-glazed window will start to deteriorate. You can hope for 20 years out of a well-fitted double-glazing unit, but in the end misting up is an unavoidable eventuality. When a double glazed window mists up, it becomes unsightly and unpleasant to look at. One of the benefits of having double-glazing is that slick and modern look it gives a house, this is completely ruined if the windows are misted up. This is especially apparent when the sun shines on it, meaning the nicer a day it is, the worse your house looks. Alongside the aesthetics, misting up also causes quite a practical problem as it obscures vision through the window. Surely one of the primary reasons for having windows is to give you a portal to the outside world; misting up hampers a window’s ability to provide this. As can be seen above, misting up really obscures vision through a window. The simplest and most cost-effective solution to misted up windows is to replace them. Fortunately this doesn’t mean the whole installation needs to be replaced, as most of the time the framework can stay the same, it’s only the glass which needs to be renewed. It is an unfortunate truth that double glazed windows eventually deteriorate and start to mist up. As soon as you see condensation forming inside your double-glazed unit that’s when you know it’s time to replace them…sooner rather than later.